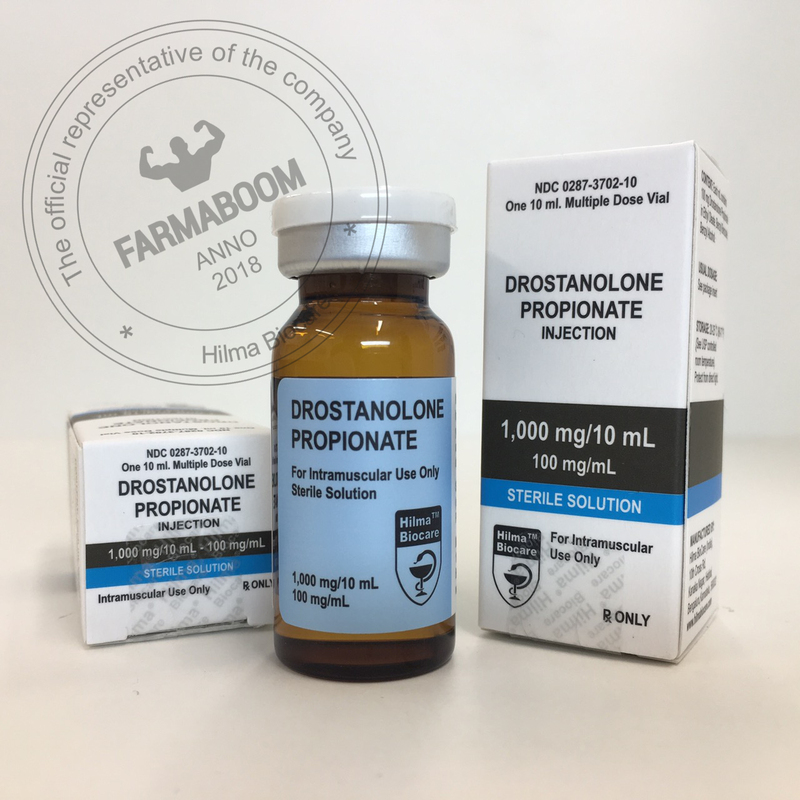 DROSTANOLONE PROPIONATE is a synthetic derivative of dihydrotestosterone, producing an anabolic effect and promoting protein synthesis as well as creating positive nitrogen balance in humans. Since it is a derivative of dihydrotestosterone, drostanolone does not aromatize to estrogens. 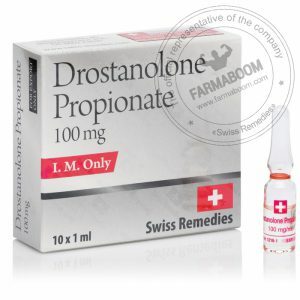 Drostanolone Propionate 100 have significant anabolic and androgenic properties promoting an increase in strength and growth of muscle tissue while acting as an estrogen antagonist. 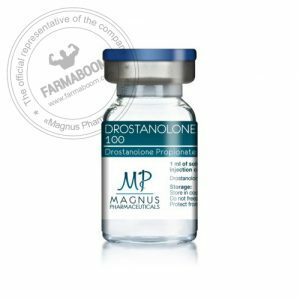 The combination of a short-acting propionate ester with a long-acting enanthate ester produces rapid increases in serum drostanolone levels with a sustained duration of 5-8 days. CAS number: 521-12-0. Dosation: 1000mg/10ml. The package has been changed. Masteron was used only during the last 3-5 weeks before a show as part of a pre-contest stack. In this case, 100-mg was commonly injected every second or third day (2-3 times weekly) by males and at a dosage of 50mg every other day by most women whom reported use. Additionally, according to available literature, Masteron is quite anticatabolic and anti-estrogenic in nature due to receptor inhibition. So the reported characteristics of this drug do have supportive clinical validation to consider. 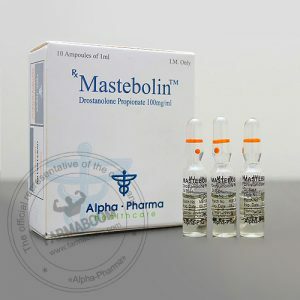 Combined with so- called mass steroids, Masteron did aid in a rapid build-up of strength and mass even with its relatively moderate anabolic qualities. However, Masteron was not reported to be the best choice for this purpose by those polled. DHT can promote hair loss and prostate disorders in prone individuals though it is not well documented as to whether or not deviants of the DHT structure can in all case do the same. Masteron has a receptor binding ability 3-5 times greater than that of testosterone. This means that the drug can hang out longer in androgen receptor-sites and is not easily displaced. The result should be increased AAS activity. An interesting facet of Masteron is the way it acts as an anti-estrogen. This is due to its ability to compete for the aromatase receptor. As the reader is aware of by now, many AAS are capable of conversion to estrogens. The process is caused by an enzyme called aromatase. (Of course the process of AAS conversion to estrogen is referred to as aromatization) If a drug has the ability to inhibit the enzyme at its own receptor and still act as a powerful non-aromatizing AAS, its interesting and unusual to me. My personal experiences with this drug have always been favorable with no negative side effects. Additionally I feel that the drug has had value as a sort of AAS moderator. Let me explain this. Masteron has a high SHBG and albumin binding rate. Since these two hormone binding proteins prevent AAS from mening with their receptors, some would assume this is a bad thing. Masteron is 3-5 times more active than testosterone, so the unbound portion circulating in the blood stream goes a long way. Since the drug binds a higher percentage of SHBG and albumin, any other AAS co-administered with it remains in an unbound/active/free state to a greater extent and is able to induce a greater response. This is an example of noted drug synergy common to protocols reported as most effective yet requiring lower dosages to accomplish a specific result. The implication is that lower dosages of co-administered drugs allowed a decrease in negative side effects.